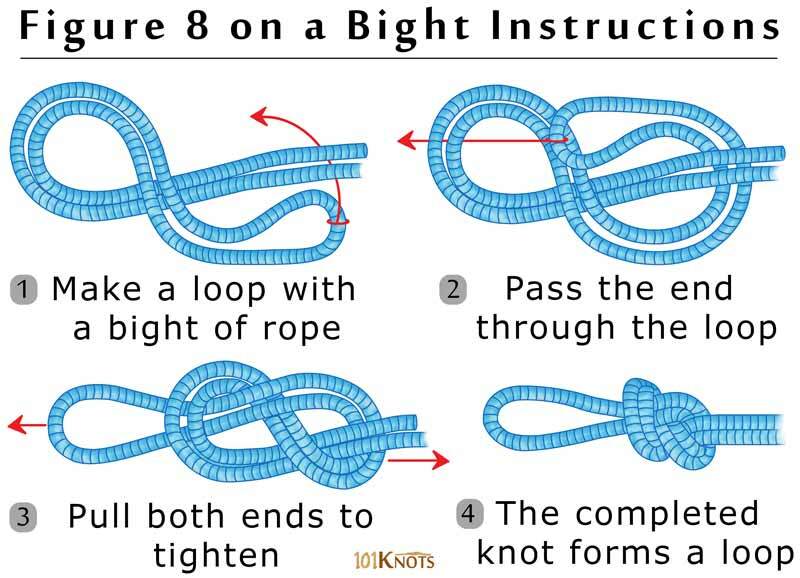 For this, the rope is doubled into a bight followed by tying the figure 8 knot. It is one of the ways of creating a figure 8 loop apart from the figure 8 follow through. The versatile knot helps in connecting a rope to a carabiner or climbing harness. Though shown here to be tied near the end of a rope, it can be made anywhere along the length by just taking a bight and proceeding with the above steps. Directional figure 8 – Better for hauling something by the middle of a rope. 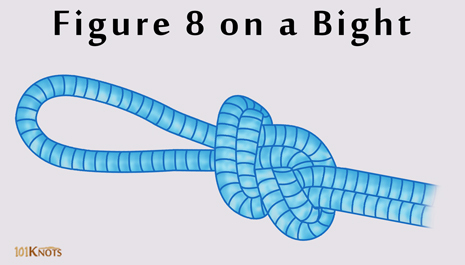 Alpine butterfly knot – If the load is applied simultaneously in both directions, this one fares better as the figure 8 on a bight knot might roll over and deform itself. It is also easier to untie. Figure 8 bend – With the figure 8 knot as the basis, doesn’t form a loop but joins 2 ropes. Double figure 8 knot – Forms a couple of loops instead of one.